Laura Meier's #1 best-seller, Good Parents Worry, Great Parents Plan, shows parents of young children what they must do to protect their family and assets in an emergency, or if a parent passes away. - How to leave behind far more than just money. Order your copy of Laura's #1 best-seller today on Amazon. Laura is a California Family Trust, Special Needs, and Elder Law attorney, and the Author of the #1 Best-SellerGood Parents Worry, Great Parents Plan—Wills, Trusts, and Estate Planning for Parents of Young Children. Laura helps families stop worrying about the ‘what ifs’ in life, and instead prepare for life events through proper estate planning. She is also the trusted advisor families turn to in their time of crisis, providing each person in her care hope and resolution. Laura is a strong believer in educating our community on the financial and legal matters that impact their families. She frequently speaks all our California to families and professionals on how an estate plan can provide their loved ones the best possible outcome when life events happen. Laura’s work has been recognized and featured by national media outlets including NBC, ABC, CBS, FOX, ESPN Radio, NBC Radio, Worth Magazine, The Fiscal Times, and more. Laura founded Meier Law Firm back in 2010 from her kitchen table while raising toddlers. To see what the firm has now become, and the impact it has made in the lives of so many families brings her a great sense of gratitude. Today, Meier Law Firm has become one of the premier business and estate planning law firms in California, with a team of lawyers and invaluable staff members who are committed to making our clients’ lives better. Meier Law Firm has received the highest possible ratings from colleagues and clients—including the honor of being the #1 YELP rated estate planning law firm in our community, and a 10.0 rating for Laura on AVVO. Growing up, Laura’s parents emphasized faith and community service. Today, Laura continues this legacy by serving on the Board of Directors of the United Cerebral Palsy Orange County. She and her husband are also proud supporters of Camp Nugget—a summer camp at CSULB for kids with disabilities. 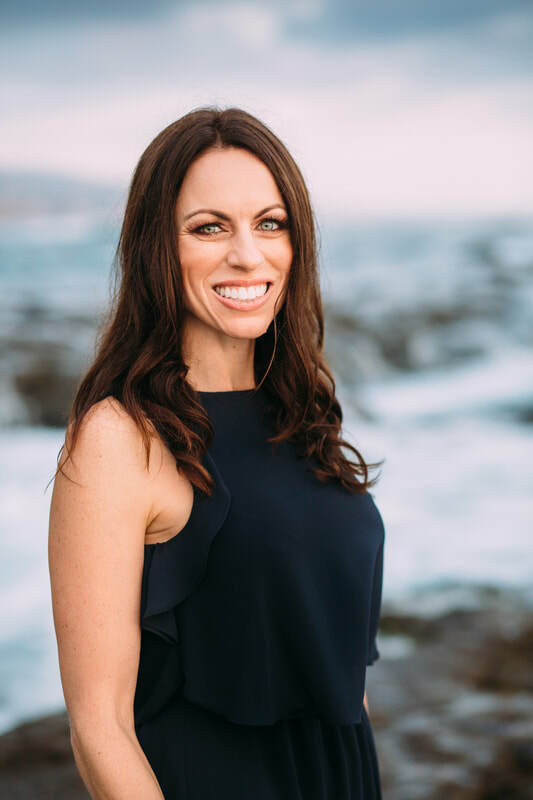 Previously, Laura served our community for a two-year term as the Newport Beach District Four Representative for the Environmental Quality Affairs Committee. Before forming Meier Law Firm, Laura worked at a national law firm where she counseled California cities and agencies. She received her J.D. from a top law school—J. Reuben Clark Law School (BYU) (2003), and her B.A. in English from California State University Long Beach where she played on the Women’s Soccer Team (2000). She is an active member of Wealth Counsel and Elder Law Counsel—both nationally recognized programs for estate planning lawyers that provides top training and continuing education. Most importantly, Laura and her husband Joshua Meier, Esq. are the proud parents of four great kids— Conrad (13), Jack (8), Kate (6), and Andrew (5). These days you can usually find them in a clump around town on a sports field or sushi joint. Ready to Read the Book?